I like giving away laptops. 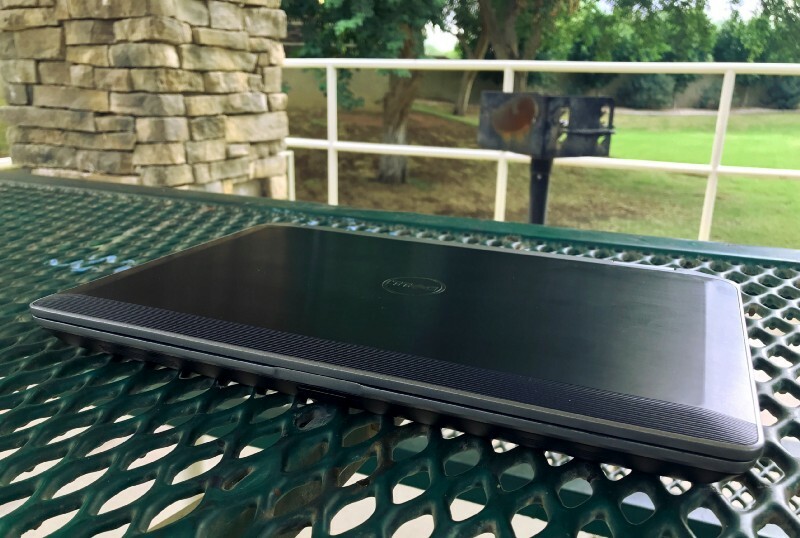 Even though mobile devices are quickly turning into people’s only computing device, so many need access to a decent laptop to get work done and I’m able to provide that to them for free. This time I’m prepping a laptop to give to a parent who needs a laptop after their aging Macbook died earlier this year. I’m luckily near a computer recycling location and I periodically sift through what’s coming in to see if there are any decent finds. Right now, I happen to have a stack of Dell E6320 that will do the job just fine for this user. These laptops used to have Windows on them but since it’s from an enterprise recycler, the license has been revoked. This is just fine for me as a desktop Linux enthusiast and I’ve setup Linux laptops for people with flimsier pretenses before any way. In no way is this a new laptop. At this point its 7 years old, but holds up well. Inside is a Samsung 470 series SSD with twin sticks DDR3 PC-10600S 1333 RAM. As you can tell this a more than capable laptop. The RAM could be doubled for higher performance but not a deal-breaker. The screen resolution is woefully low and would be a problem for a real designer. But for light editing of images and webcam vlogging, I don’t think this user will be doing any color correction jobs. Even for people who do color correction… You do calibrate your screens, right? R-I-G-H-T? The user I’m preparing this laptop for is a mid-30’s parent who likes to do some creator-type work on the side. Their 9–5 job is just boring enough they find podcasting and YouTube vlogging as an outlet, but not boring enough they’re willing to quit. So, they’re doing some basic audio editing for a podcast with a small following, some light video editing for a sub-1,000 follower YouTube channel and editing photos of their kids here. Coming from a Mac they do have some expectations of how a computer works, but they’re by no means an “enthusiast”. It just needs to work. Get out of the way, let them do some stuff. Be functional, more like an appliance than a powerful computing device. On my short list of applications for this laptop is obviously Gimp and Audacity plus Kdenlive for video editing. This user also works a lot in Google Drive so I’m exploring some ways to best integrate that into their workflow. I’m heavily leaning towards Elementary OS as the Linux distro to load onto this device. I don’t have much experience with Elementary or the Pantheon desktop environment. It is built on an Ubuntu base, so I’m sure I’ll be right at home. This is one of those mythical “new users” for the Linux desktop. For a long time, Linux desktop enthusiasts have always phrased the “new Linux user” as the lowest common denominator and the goal of all new software, DE’s, services as though there are millions of PC/Mac users that are desperate to get off their current device to something better. I put together a lot of laptops like this for people and for the most part, they don’t care. They don’t care about open-source, free software or the ethical choices we make with computing devices. All that noise is for people already in the echo chamber. How we talk about the Linux desktop is off-putting to a lot of people. It makes them feel like they’re also making a political decision of which they know nothing about. I could easily jump up on my high horse and lecture anyone about the benefits of FOSS. Then I’d look like a crazy man with a boot on my head and the staff at Bubba Gump’s asking me nicely to not stand on the chairs. I’m not a car person. I can work on cars, I know how to do my own basic maintenance and I’m sure I could follow guides on YouTube for more complicated fixes. I really don’t care about cars though. Cars are dumb and spending a lot of money on a car is dumb. If I have a problem with my car, I just want someone to fix it. I take it to a professional. I don’t ask my mechanic what car I should buy when I’m ready to dump my 1996 Ford Taurus for a mid-range SUV. I buy a car just like everyone else — I do some bad research online then let the salesperson con me into a loan I can’t afford. So why would someone come to me for a computer recommendation and what would they do if I said buy a Linux laptop from some boutique seller they’ve never heard of? They’d listen politely then buy a Dell that has a coupon at Costco. The reason this person came to me for help is because they need a computer to get work done and have a little fun. With four kids, two cars and a mortgage dropping hundreds or thousands of dollars on a new laptop wasn’t scheduled in their finances. This is a hold over device. I still have a lot of fun putting this laptop together for them and I truly want them to have a good experience. Not just a good Linux experience, but a good computer experience. To me, all this work is worth it to help someone out. Next time, I’ll look into how this laptop has performed with Elementary OS and the tweaks I’ve been testing for a part-time creative.